Santa visits with his woodland friends in this festive stocking designed to decorate your mantle. This easy-to-stitch piece can be personalized with a child’s name or initials. 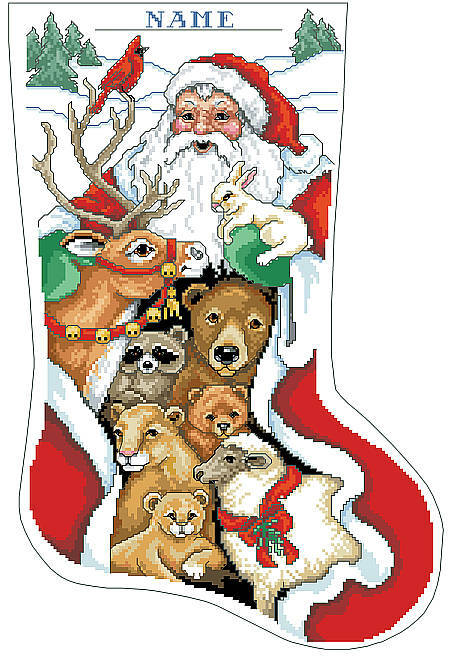 Check out the rest of the Kooler Stockings selections to add to your mantle collection. Contents: Stitch Count 136w X 211h. Finished size on 14 ct 10" X 15-1/4"